LISTEN TO EPISODE 34 OF MN GHOSTBOX NOW! 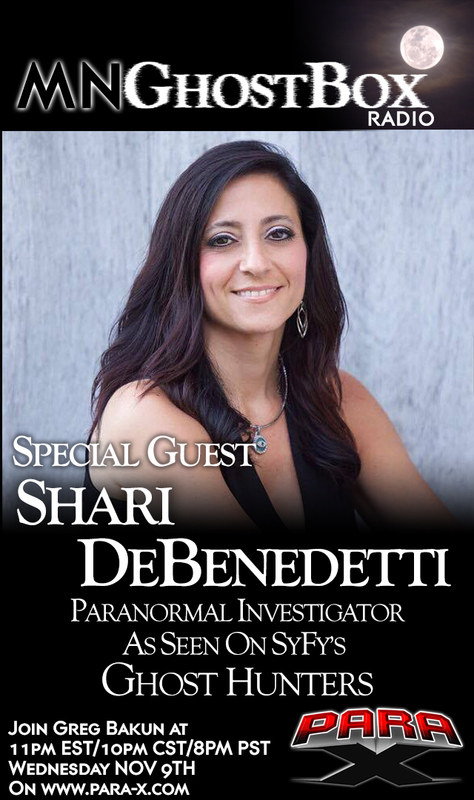 In case you missed our conversation with our special guest Shari DeBenedetti it is available now in the archive section of the MN GhostBox web site or you can click on the link below to listen/download and it is available on iTunes. Shari is known to many as a Paranormal Investigator on the hit SyFy series Ghost Hunters. We will catch up with Shari and talk about what is going on with her and talk about her fascination with the Paranormal and some of her favorite cases. We had a great conversation talking a lot about not only Ghost Hunters but paranormal happenings earlier in her life. This episode has a lot of great paranormal stories that cannot be missed!